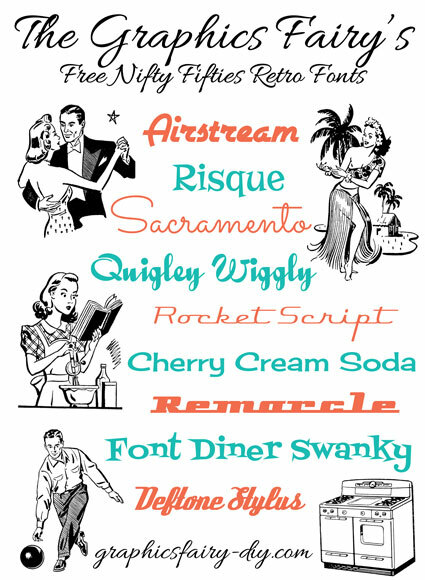 Fun and Free Fifties Fonts! The Graphics Fairy has a huge selection of graphics to choose from, including retro images from the 50’s and 60’s. This month, we’ve picked several funky retro font styles for you to choose from. We have links to nine of our favorite free fonts below. 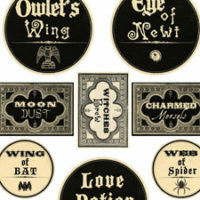 Pair these fonts with Karen’s retro graphics for your paper projects. 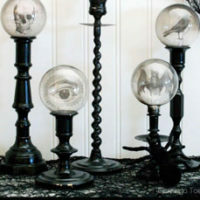 They also are prefect to help you execute a cool retro party theme. 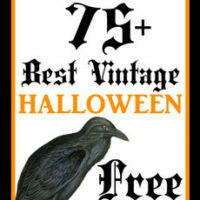 Here are the links to this month’s free font picks. Just click on the links below to download the fonts. Please be sure to read any information that comes with the font as to its use too. Enjoy! Thanks for stopping by today and we hope you create some fun retro projects! When I try to download Risque, MacAfee blocks it due to a Trojan Horse trying to download. Great as usual. Thanks for sharing.